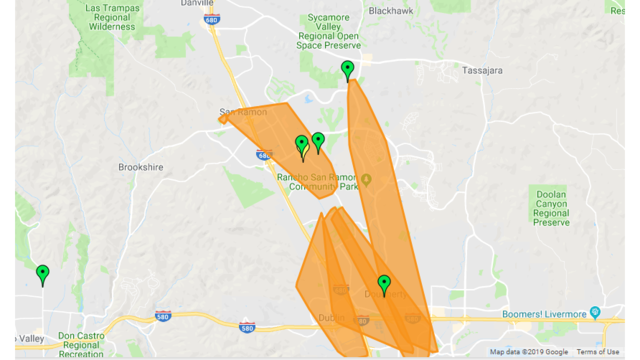 SAN RAMON (KRON) - Thousands of residents in San Ramon are without power Saturday night. Approximately 4,500 Pacific Gas and Electric customers are impacted. The estimated time of restoration is 9 p.m.
Traffic signals are not working so motorists should treat intersections life a 4-way stop.